Ru Paul’s Drag Race is one of only two shows that I watch live and I am obsessed with it. 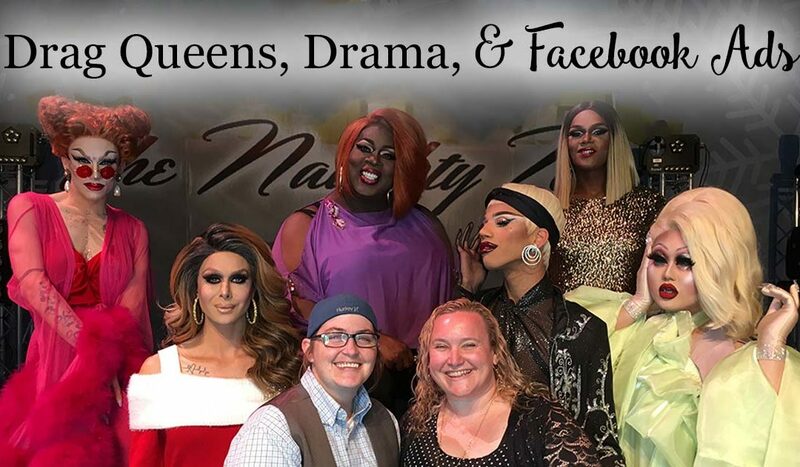 I follow most of the queens on various platforms, and my wife and I have seen many of the queens perform live. 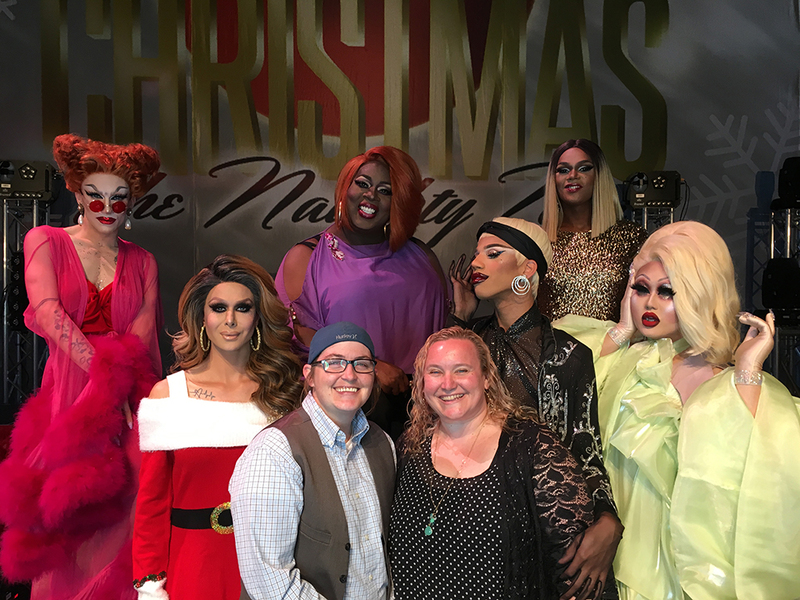 She even got me a Cameo (a personalized video) for Christmas from one of my favorites queens – Thorgy Thor. 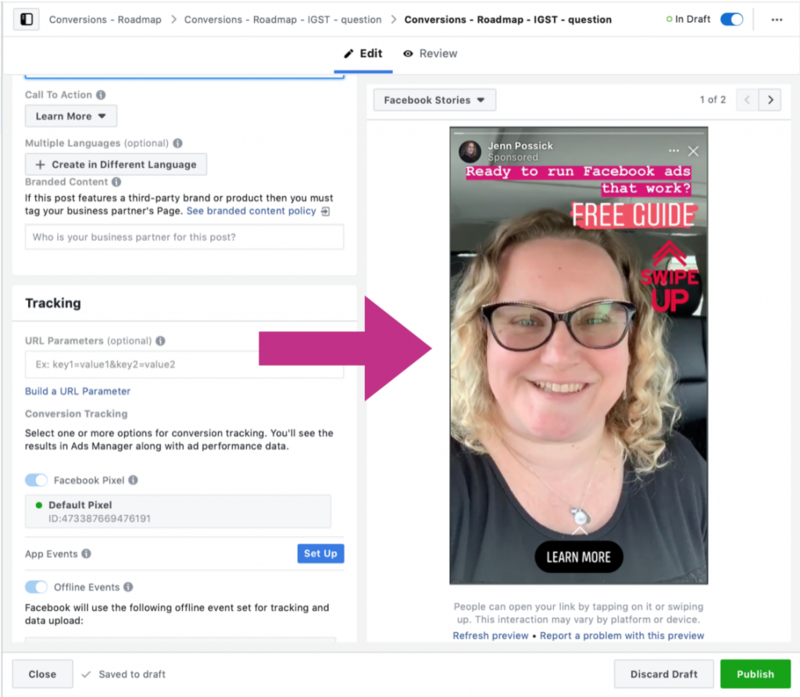 So I thought it would be worthwhile to look at how this production company is running ads now, and what changes I think they should make and how, along with some helpful Facebook Ad tips for for you! Also, just an aside, all of the queens that I’m mentioning here are some of my absolute favorites. I could go on and on about each of them, but I realize that’s not really the point of the article, so I’ll also link each queen to their Instagram. All of them are worth it to follow. 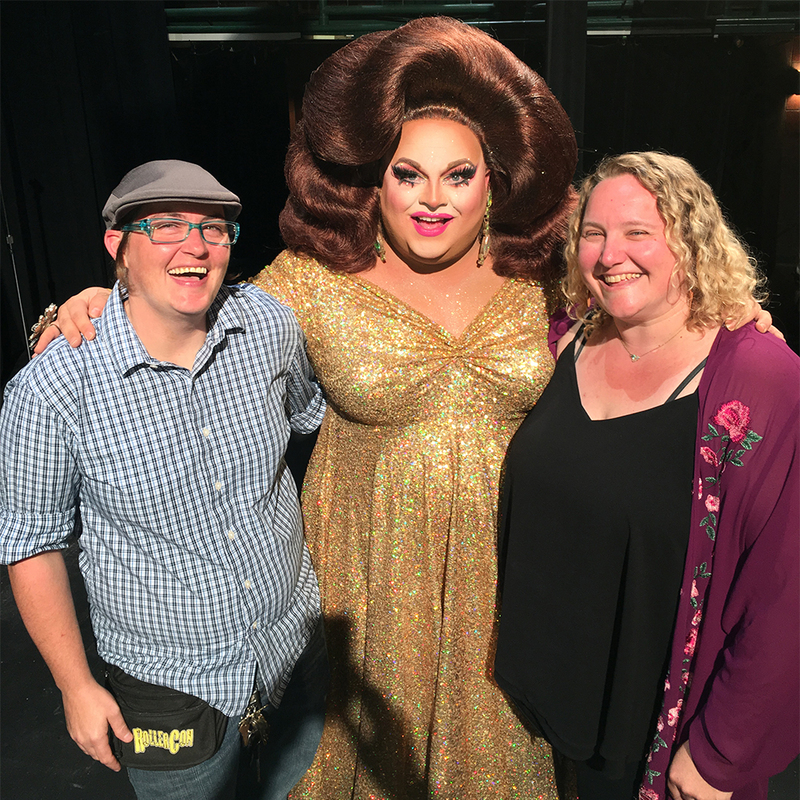 We met Ginger Minj after her one woman show. She was lovely and super talented. 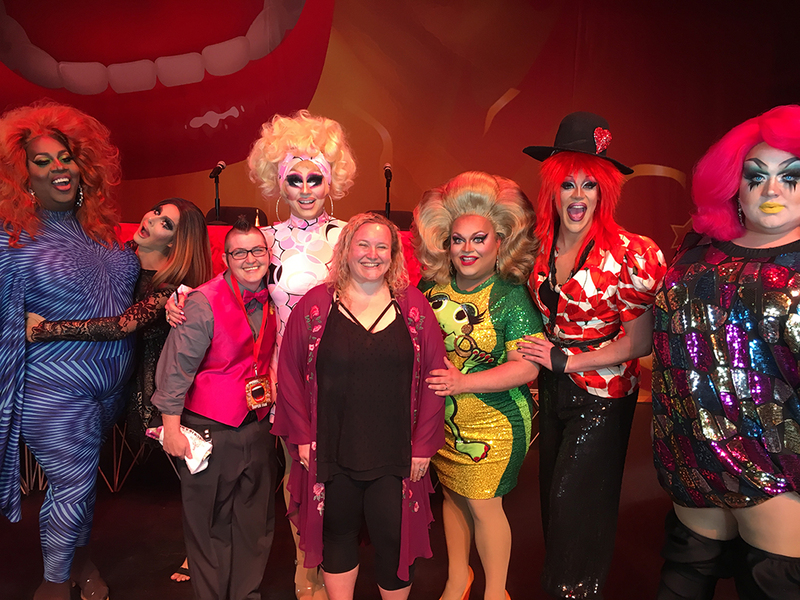 First, Ginger Minj (who you can see in the adorable Netflix movie, Dumplin’) got a film offer that meant she would have to step away from 8 of the tour dates, which she could do based on a clause in her contract. Instead of simply replacing her for those few dates, they kicked her off the whole tour and made a post about it, trying to make her seem unprofessional. Fans made it pretty clear that Ginger was not the one being unprofessional and the manner in which they shared that she was being replaced was not cool. Then, Monet X Change had a last minute offer to be part of a music video with Madonna where she would have missed one date. She asked about going and was told no and decided to go anyways. Maybe not the most professionally choice on her part, but understandable. Murray and Peter also posted about this, letting everyone know that they were kicking Monet off the tour as well. This quickly blew up into lots of Instagram posts and Tweets from the queens but mostly from Murray and Peter saying posting in ways that were the total opposite of professional. My favorite was when they posted that they have paid the queens a combined amount just over $5 million from all of their tours. Which is cool that they’ve helped drag queens perform in theaters instead of just clubs, but they literally wouldn’t have a business if it wasn’t for the queens of Ru Paul’s Drag Race, so they failed to mention how much they’ve made of the queens. 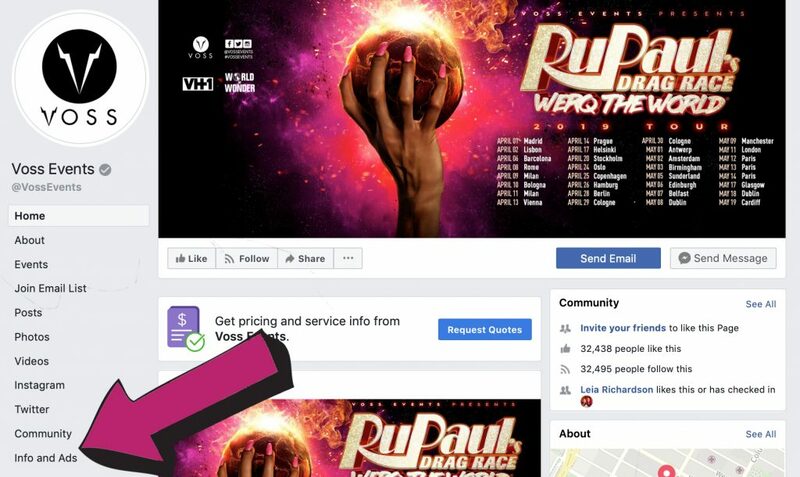 So, after they treated yet another queen poorly, the drag race community as whole has been pretty up in arms and plenty of folks are asking for their money back from tickets for upcoming shows. Then another queen who was scheduled later in the tour, Trinity the Tuck, decided to step down from the tour in solidarity. 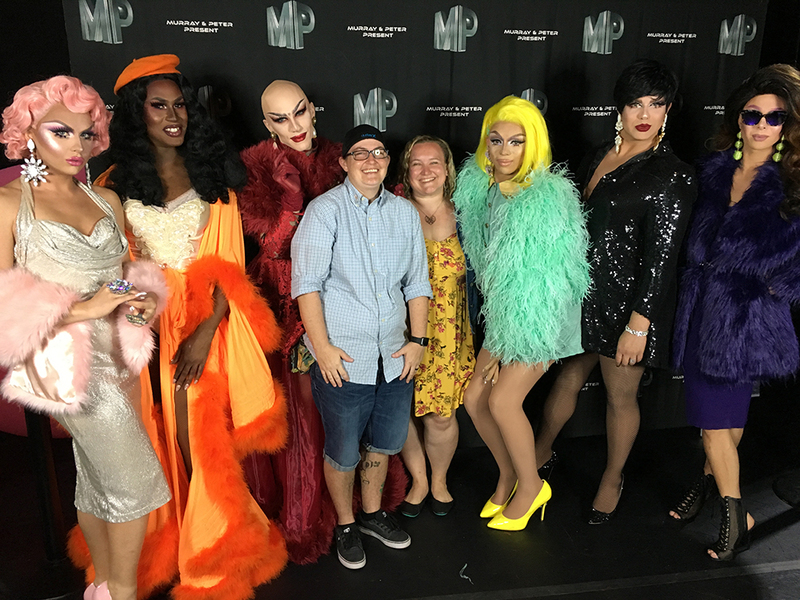 Honestly, we’ve been to several of their shows (4 with multiple queens and 2 solo shows) and spent a good chunk of money since we have always gotten the VIP meet and greet. After the last show, we had decided we wouldn’t be paying for the ‘meet and greet’ again for a group show because it wasn’t worth it. There was no meeting or greeting. It was a 2 second photo on your phone with the whole group. Every show we’ve purchased posters of each queen to have them sign it. Each poster is like $15, so 15 times 6-7 queens, but it’s worthwhile because it’s money in their pocket and gives you an extra minute to chat with them. But the last time we had to stand behind a line 10 feet away while the queens signed our posters, which made it feel really weird and awkward and like a waste of over $100. Our complaint about the meet and greet is super common amongst fans. 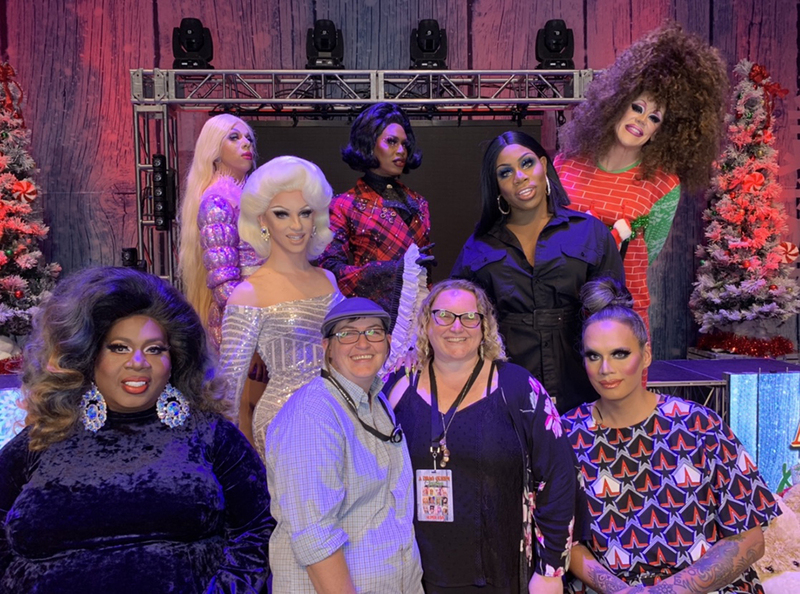 And often compared to the other big tours, where you get to do your meet and greet with two queens at a time, so you end up with multiple photos and extra time to meet them. We’re also big fans of The Walking Dead and have been to way too many nerd conventions to meet and get pics with the cast. In those settings, a professional photo means you get like 2 seconds, but if good lighting (see photo #4), everyone is fully in the photo with you (see photo #1), and you get a printed 8×10 photo, and then when you got to their booths, you can get stuff signed and chat with them for a bit. From that, we’ve had full conversations with some celebrities, making it totally worthwhile. 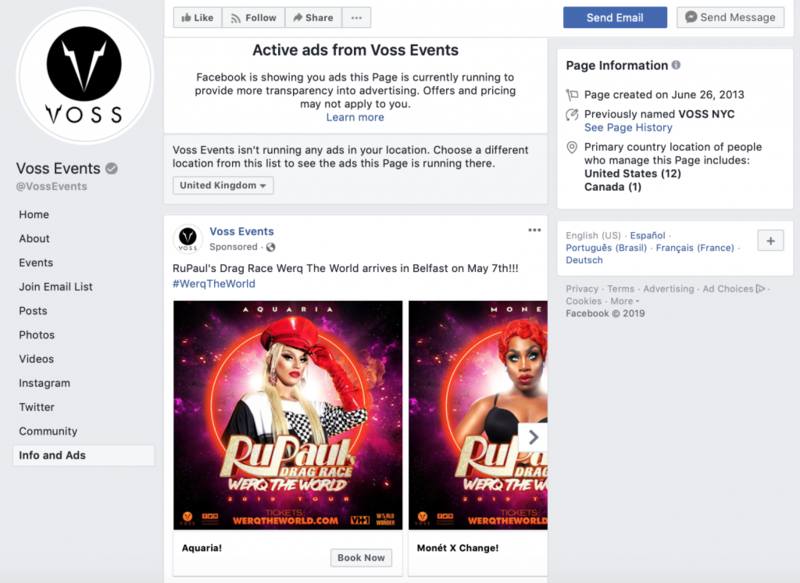 Murray and Peter are running Facebook Ads showing that queens who are no longer on the tour (Monet X Change and Trinity the Tuck) will be at various cities. And since (spoiler alert) Monet and Trinity just won All Stars 4, having their faces in the ads, will definitely help sell tickets, but through false advertising. Bob the Drag Queen asked on Twitter why they are still running these ads. If you wanna check to see which ads are running from any business (even if it’s not yours), you can easily check. It’s super easy to turn off an ad that should no longer be running. It’s allllmost just as easy to duplicate and edit the ad so that the correct ad is now running. And I’ll show you how to do these 3 things below. 1. We can see any active ads that any business is running! Wanna check on active ads from your peers? Here’s how to do it. On desktop, on the left hand side, scroll down just a bit and select where it says Info and ads. From here, you can see all active ads running to your country, which is a pretty cool feature. 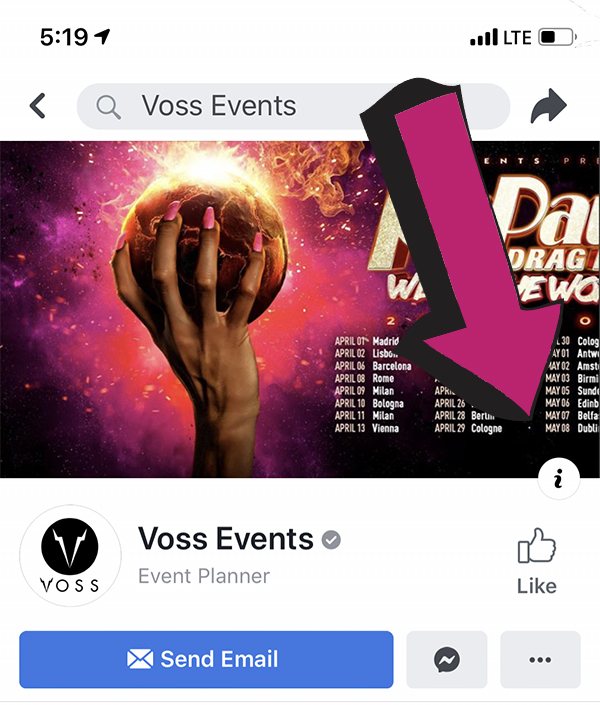 On mobile, click the little ‘i’ on the side of the cover photo, then select active ads. 2. If you have an ad running that you need to stop, it’s super simple. Murray and Peter are saying that the ad is about to expire. But it’s just spending (and wasting) money if your ad is running when it shouldn’t. Here’s how to stop a running ad. You can turn an ad off from any of the 3 sections, but it’s generally best practice to turn off an ad at the Ad Set level. To do so, select the ad at the campaign level, click ad set, find the ad you want to turn off, click the little blue button on the left hand side, so it becomes grey. That’s it. Super simple. It’s takes about 2 seconds if you have decent wifi. And maaaaaybe a minute if you’re walking through and following these directions. 3. After stopping the ads that are no longer accurate, they would want to run ads featuring the cast who will actually be there. That is also very simple and quick to do. 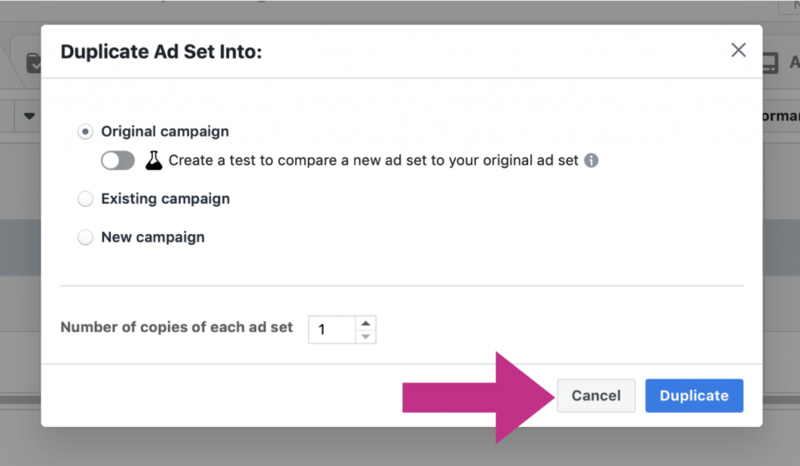 Select the campaign for the ad that you need to edit. Go to the ad set section. Select the ad that you want to duplicate. Give the ad set and ad an updated name. Just like stopping the ad, this only takes a couple minutes as long as you know what you’re doing.